The second test between India and Sri Lanka is going on and India team is batting really well in its first inning. 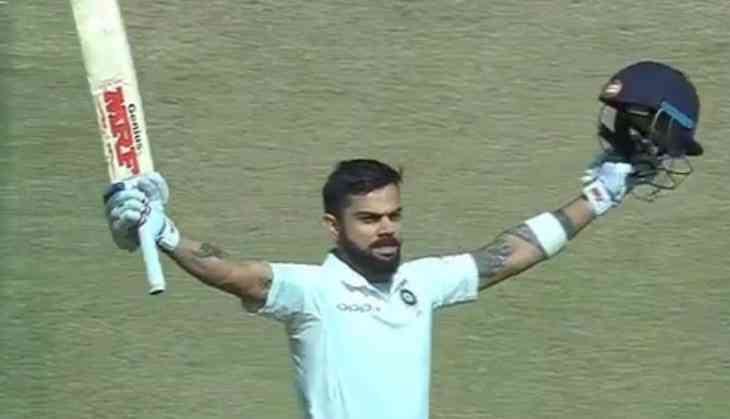 Now the latest development from the Nagpur ground is that the Indian skipper Virat Kohli has hit his 19th test century and seond century in the series. The star performer Virat Kohli took 77.70 strike rate to made his 19th century. The interesting thing is that it is his 10th international 100th in the same year - the most by any skipper. Earlier the record was on the name of Australia's most successful captain Ricky Ponting.